21 years treating Orthopedic/ Neuro-musculoskeletal conditions. US Army Reserves, Medical Specialist Corp, Physical Therapist. Activated February 2004 – April 2005. US Army Hospital, Wurzburg , Germany . In-patient and out-patient care of active duty military personnel in support of Operation Iraqi Freedom. Matt has a specific clinical interest in the patho/mechanics and rehabilitation of shoulder and knee injuries. 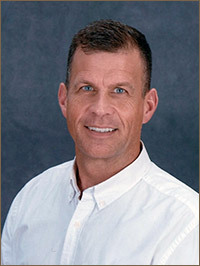 He has attended numerous seminars and continuing education focusing on the most advanced treatment techniques for safe and effective rehabilitation. Matt stresses patient education with all of his patients and believes their full understanding of the process of injury and rehabilitation is essential for a productive and positive outcome.